If you’re looking for a new and interesting way to enjoy your daily cup of java, try dumping a lump of hot coal into it. 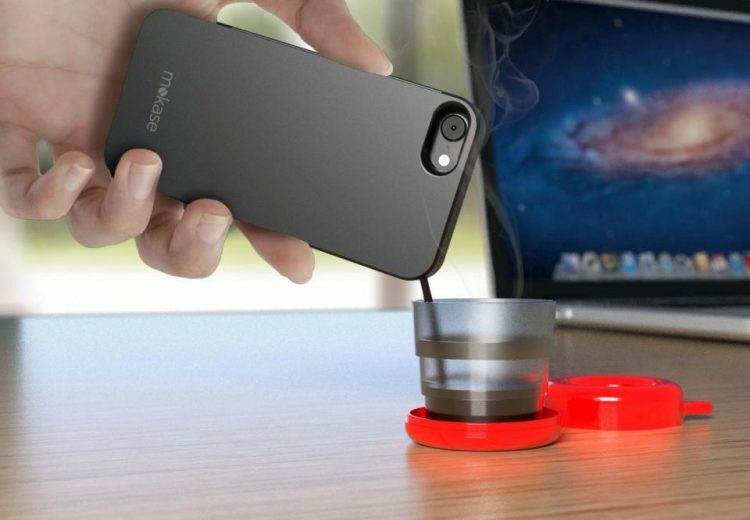 The trick worked for a small coffee stall owner in Indonesia who has become famous for his sizzling charcoal coffee. The Indonesian city of Yogyakarta is perhaps the only place in the world where you can have your coffee served with a piece of red-hot coal. 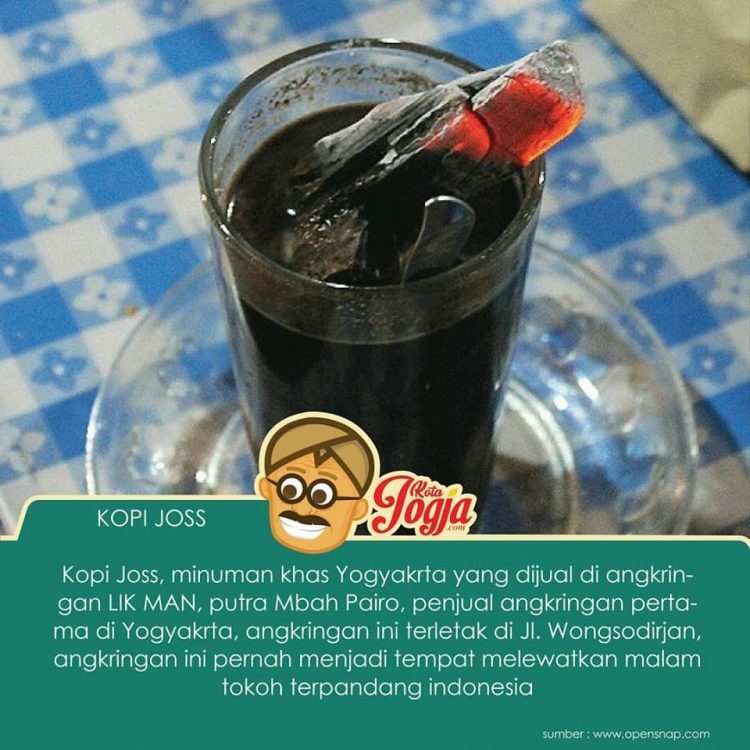 It’s called “Kopi Joss” and it was apparently invented back in the 1960s, by a local coffee stall owner known only as Mr. Man, to help him deal with a troubled stomach. The current stall operator, Alex, says that Mr. Man, who has since past away, was making his coffee as usual, when he laid eyes on the burning coal that he used to boil the water, and an idea popped into his head. His stomach was giving him problems and thought that the coal could make it better. So he took a piece of hot coal and dumped into a cup of coffee. 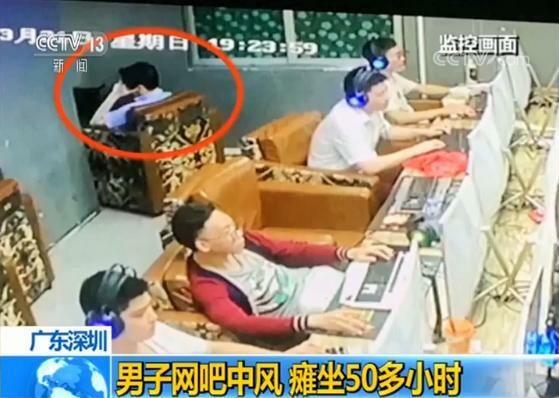 It worked, and he since started selling it to brave customers as well. Not everyone’s a morning person, so if having a cup of coffee with your morning bagels just isn’t enough to give you that much-needed boost, maybe these caffeinated bagels can help. 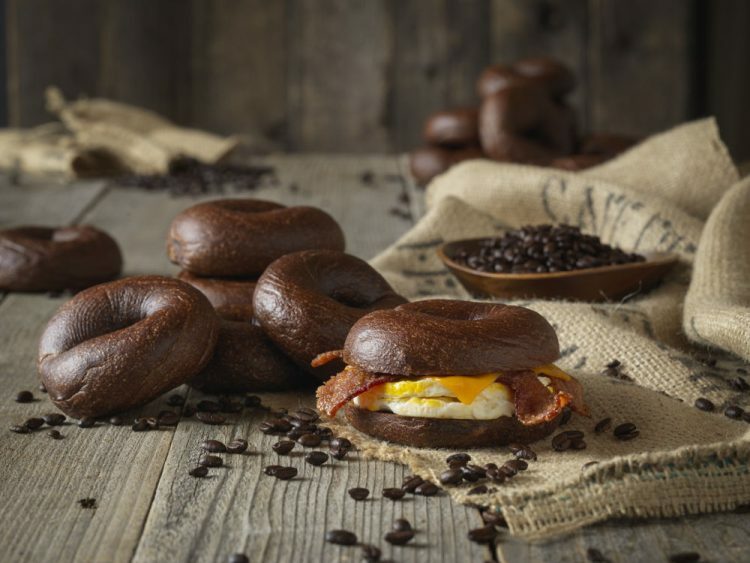 Called “Espresso Buzz Bagels”, the world’s first caffeinated bagels were unveiled last week by the Einstein Bros Bagel chain. Each bagel contains 32 milligrams of caffeine, which is roughly a third of the amount found in an eight ounce cup of coffee, plus 13 grams of protein. That’s obviously not enough to justify replacing your morning coffee with one or even two caffeinated bagels, but as an extra source of energy, the combination of caffeine and carbohydrates might actually help. 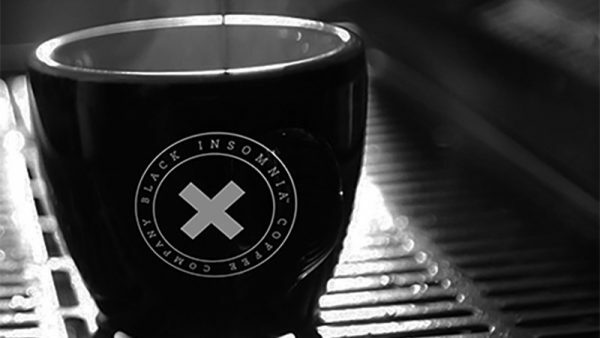 The International Food Information Council recommends a daily caffeine intake of 300 mg, while the FDA recommends 400 mg, but just one 12-ounce cup of Black Insomnia brew contains 702 mg of caffeine, which will definitely keep you up at night and may even cause some health problems. Black Insomnia Coffee was founded in 2016 by South African coffee lover Sean Kristafor. 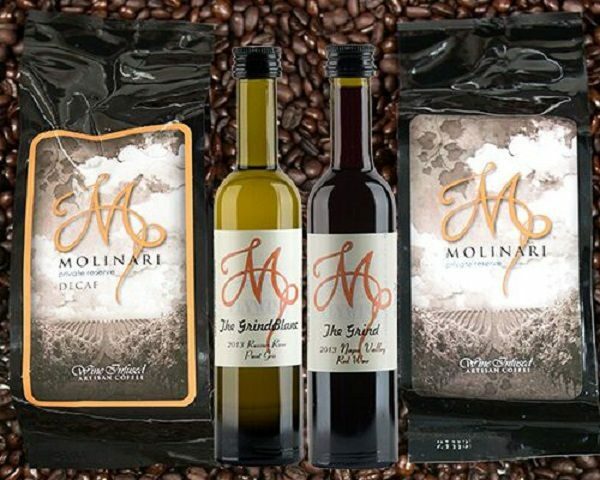 From the very beginning, his goal was to create the strongest coffee in the world, and he managed to do it by using the stronger Robusta variety, instead of the more aromatic Arabica. The secret to its high caffeine content is apparently in the way that the coffee beans are roasted, but Kristafor is obviously not interested in revealing the process. He only says that they can make it considerably stronger, and actually had to dial it down a bit for the commercial version, just so it was safe to consume. 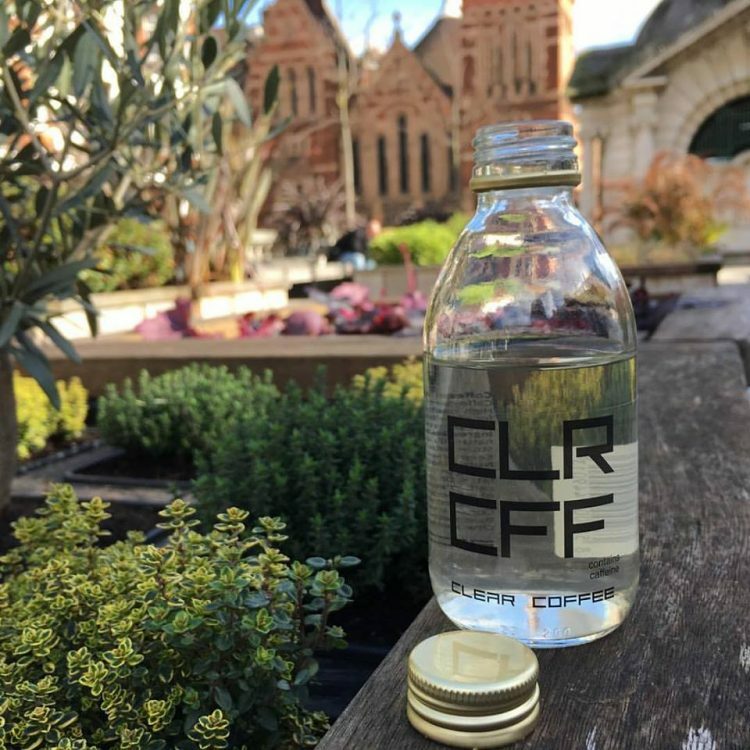 There’s no denying that water plays a huge part in the overall quality of coffee, which is why most respectable coffee shops use filters to get rid of excess minerals or chemicals that might negatively impact the taste of their brews. But now there’s an even better way to ensure that your morning cup of coffee tastes just right – introducing Aquiem designer coffee water. German company Kaffeeform combines dried coffee grounds and biopolymer to create stylish-looking coffee cups and saucers that are not only durable and dishwasher-safe, but even smell a bit like coffee. 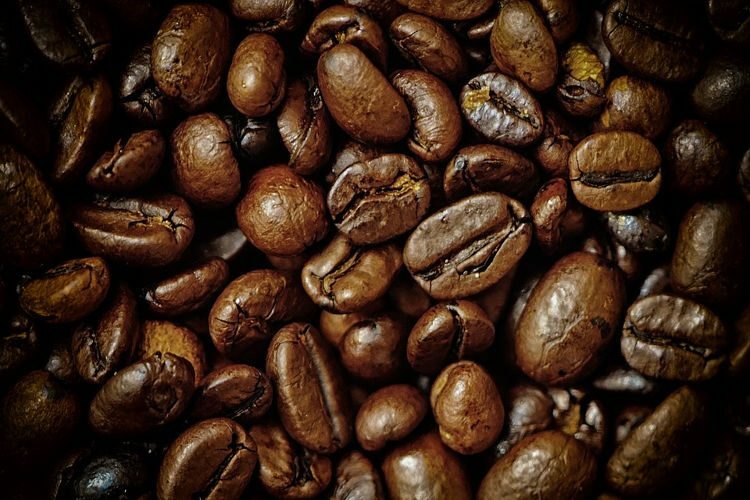 For every cup of coffee you brew, about two tablespoons of grounds wind up in the trash. That doesn’t seem like a lot, but just think about the millions of coffees consumed around the world every single day, and you’ll start to see the problem. Sure, some of those coffee grounds are recycled as fertilizer or beauty products like face masks, but most of it ends up at landfills. It was while contemplating this issue that German designer product designer Julian Lechner came up with a radical new and sustainable way of recycling coffee grounds – turning them into tableware. Lechner first came up with the idea of using coffee grounds to create eco-friendly crockery while attending university in the Italian city of Bolzano. “We were always drinking coffee at university,” he remembers. 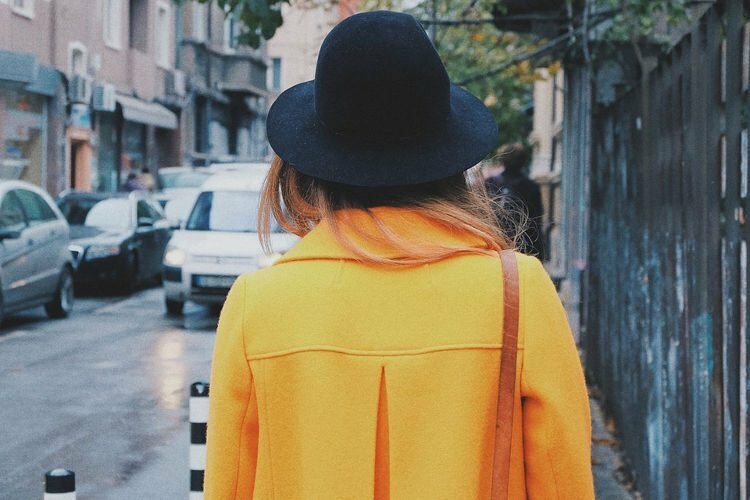 “Before classes, after classes, meeting friends, hanging out at espresso bars—all the time. And that’s how I started to wonder, What happens to all that coffee? It was all just getting thrown away.” He began consulting with his professors about ways of using coffee grounds to create a solid material, but it took him years to actually come up with a viable solution. Winter, a 42-year-old coffee fanatic from Houston, Texas, is on a mission to have coffee at every Starbucks coffee-shop in the world. Given that Starbucks operates on almost every corner of every street of every city in America, not to mention thousands of shops around the world, Winter seems to have set himself an impossible goal. Yet, he’s already been to 11,676 Starbucks branches, and he won’t rest until he’s been to each and every one in the world – that’s at least 10,000 more to go. Born Rafael Lozano, he legally changed his name to ‘Winter’ because he didn’t want his credit history confused with his father’s. Over the years, Winter, a computer programmer, has spent over $160,000 on Starbucks coffee and on traveling to cafes across 38 different countries – including shops in London, New York, Paris, Egypt, Kuwait, Turkey, Japan, and Lebanon. That’s about 25 percent of his earnings and three months of travel a year on coffee runs. He’s a self-proclaimed caffeine addict, who at one point, used to guzzle 29 cups of coffee a day. Interestingly, he actually prefers artisanal coffee from independent stores, but he appreciates that Starbucks tastes the same everywhere. 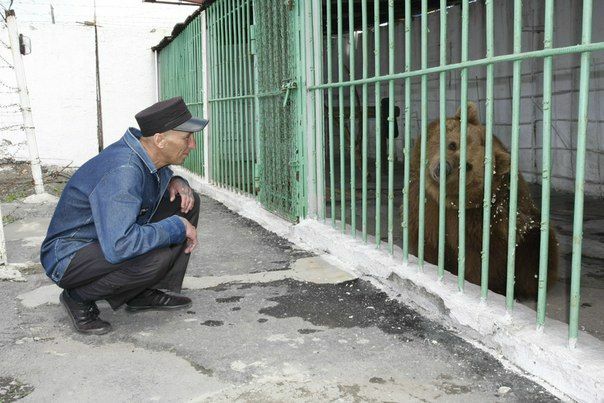 His first visit was in 1997, and he almost immediately decided that he had to go see all the branches in the world. “It was a completely random idea that came to me when I was in Plano, Texas while discussing the growth of Starbucks in the greater Dallas area,” he said. 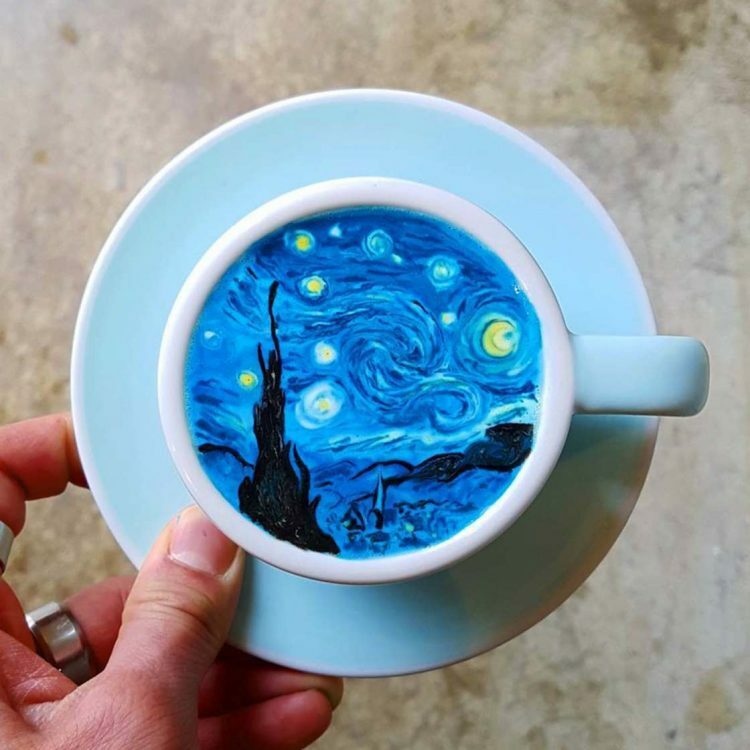 Latte art has become very popular in recent years, with more and more talented baristas using the fragile milk foam as a miniature canvas for their artworks, but Japan’s Kohei Matsuno is already taking the delicate art form to a whole new level with his amazing 3D latte masterpieces. Kohei Matsuno used to work in an Osaka restaurant where he used latte art to surprise his clients. 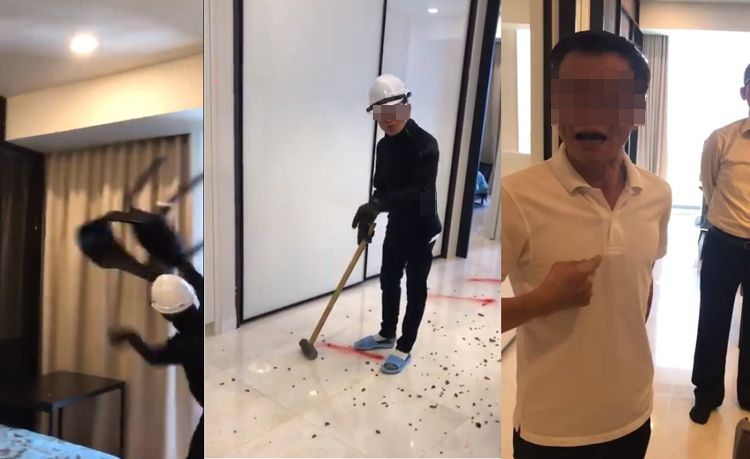 However, he noticed people are not so easily impressed with the usual designs on their cups of caffeinated beverages anymore, so he decided to step up his game. He had become an expert at creating traditional Japanese landscapes, popular manga characters and realistic portraits on milk foam, but he still felt restricted by the flat surface of his delicious canvas. To make things really interested he began using large amounts of milk foam to design all kinds of cute shapes, decorating them with with a sharp utensil, usually a toothpick. 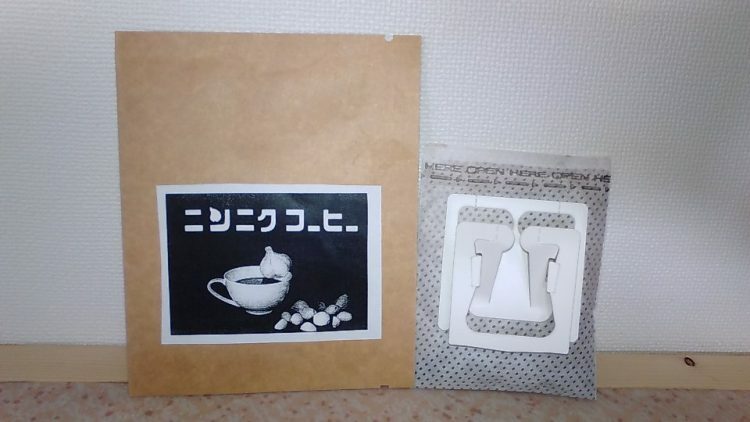 This ingenious trick has made Kohei one of the most popular latte artists in Japan. Using the alias “Mattsun”, the young barista now spends his days taking ideas from his fans and turning them into delicious reality.